This was my initial response when arriving (via helicopter) 1000m away from Iraq’s Al Basrah Oil Terminal (ABOT). As part of a coalition maritime security group, security forces have been protecting Iraq’s economic gem for over a decade, and over the course of that time many security lessons have been identified. So naturally, I can’t help but relate these issues to the concept of Seasteading and my corresponding thoughts on security, which will be the focus of this post. Home, sweet light crude home. One of the first questions to settle is whether the infrastructure be treated as a single point in the ocean, designed to be defended in 360 degrees. It is possible that to have full coverage, the seastead will require roving patrols. Non-Lethal technology (such as the LRAD), although only somewhat effective at distracting incoming small boats, must be employed in various positions for overlapping coverage. In point defense, this will therefore require dedicated security personnel, on watch 24-hours a day, to field effective coverage. If a seastead could utilize multiple supporting infrastructures in the near vicinity, or was a considered part of a country’s territorial archipelago, tactical considerations might alternately suggest an area defense approach to defend the seastead. This would entail routine patrols of the area and require more centralized security programs. If the seastead decided to employ maritime patrols as a means to interdict unknown approaching vessels, the employment of patrol craft would be determined by the size of the area and amount of working security boats. Another important question to consider is the distance from the seastead that will be considered a warning zone. Implementing current anti-piracy measures may defend against approaching vessels through deterrents and security systems, but the infrastructure must also consider the terrorist/extremist threat of waterborne attacks. Anecdotally it seemed to me that infrastructures often attract the best fish, so these platforms may also attract fishermen. Considerations must be made to keeping unauthorized fishermen away from the platform, as the possibility of a water-borne improvised explosive device (WBIED) attack increases with added fishing traffic. In addition to local fishing, the potential of large, commercial traffic – e.g. 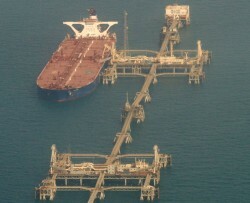 supertankers, liquid natural gas (LNG) ships – poses a kinetic threat to a seastead. This threat must be gamed as both a non-malicious (navigational safety hazard) and malicious (terrorist hijack). After determining the distance for the buffer zone, the seastead must also include a means to thwart approaching ships that look likely to violate it. Patrolling security vessels capable of providing shouldering and defensive capability must be considered, yet their implementation weighed against the complex operational control required of maintaining security zones for a large infrastructure. The issue of entry/exit point control is a great point raised by Mr. Harmon in the video linked above. This is an important aspect of security on a maritime platform, yet the seastead must weigh the thoroughness of processing against the costs of excessive time requirements. A detailed inspection of incoming personnel may require the halting of offload or possibly return of vessels. If a suspicious individual or group is identified, what detention facilities will the infrastructure maintain until further transfer is warranted? At-sea vessel inspections from boarding teams, prior to their arrival at the seastead can be an effective means of providing entry control, yet this requires a dedicated boarding team with transportation. As a final question to consider, is the seastead prepared to be boarded by pirates or other criminals and held for ransom? While in his interview earlier this week Randy Hencken prevents compelling arguments against the threat of piracy afflicting seasteads, history has shown that human ingenuity – evil as well as good – often find a way to capitalize on societies in flux. Therefore seasteads need to be prepared. What security controls will be in place to prevent, thwart, and recover from piracy? Is the platform capable of receiving airborne inserted counter-piracy forces? Are the personnel living/working onboard the seastead well-versed in piracy scenarios and prepared to respond accordingly? If pirated, “who ya gonna call”? Seasteading is a great concept for advancing maritime occupancy and development, yet just as the concept is entering our collective discussion, so must the security challenges. A.J. “Squared-Away” is a husband, father, and U.S. Navy Surface Warfare Officer. He has deployed on patrol boats, destroyers, and aircraft carriers to the Mediterranean, Persian Gulf, and aboard Iraqi oil terminals. He is currently a student at an advanced military planner course. The opinions and views expressed in this post are his alone and are presented in his personal capacity. They do not necessarily represent the views of U.S. Department of Defense or the U.S. Navy. Previous PostWho Would Benefit Most from Seasteading?Next PostSea-Based Nations and Sovereignty: What Makes a Nation-state?